The website "Peladeiro.com" is an excellent tool to schedulling soccer plays with friends. It's very popular in Brazil and Portugal. 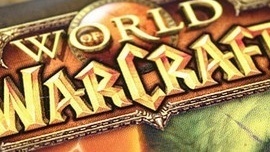 Who play World of Warcraft knows that is very hard to find groups and friends to dungeons and mainly raids. So the motivation is creating a website to help WoW raiders in schedullings raids and dungeons. Schedule raids and dungeons for WoW considering characters and free time of player. Compatible with Diablo 3 and Guild Wars 2.